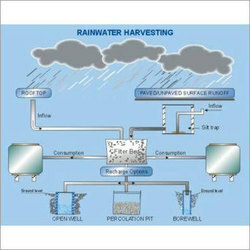 Service Provider of Rain Water Harvesting Services. Our product range also comprises of Sewage Treatment Plants, Air Pollution Control Devices and Industrial Chemicals. Years of experience and knowledge of this domain, has helped us in rendering our customers with Rain Water Harvesting Services. The offered rain water harvesting services are used by hospitals, industrial plants and residential societies for rain water harvesting. Our team of experts precisely takes into account horizontal water volume and excavation while rendering the rain water harvesting services. Looking for “Rain Water Harvesting Services”?